Unique and natural wood environments from trees to timbers, fences to decks; structures designed to fit into the landscape. At Landscape Solutions, we don't just love landscaping but wood too. There's nothing like the look and feel of solid hardwoods to add warmth and richness to a landscape. We've made it our goal to bring our customers the best wood products and construction on the market today. 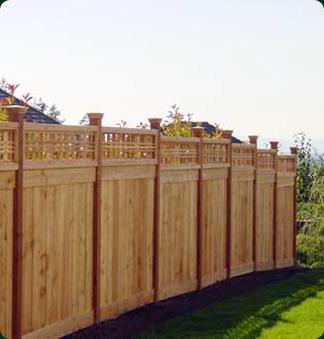 Quality craftsmanship, superior materials, and reasonable prices, all our guarantees to you. "We had a fence replaced in our back yard. The quote was good, the work was excellent and they finished in a timely manner."